Today I posted this story, Song of the warhorses: charge of the Butterfly brigade, on Oregon Arts Watch. Somehow, it seemed, a disconnect was going on. Audiences and critics alike were loving Portland Opera‘s current production of Madame Butterfly. Yet there were grumblings in the land: Why this steady diet of warhorses, also known as chestnuts, and all too rarely referred to as classics or core operas? Are we living in the past? If we are, is that a bad thing? Woe, perhaps, are we. 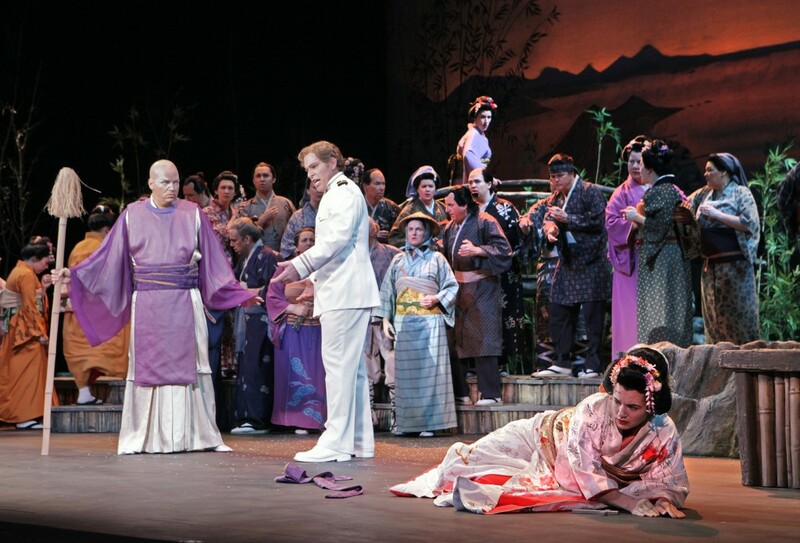 Photo: Kelly Kaduce stars in “Madame Butterfly,” with Gustav Andreassen (left) and Roger Honeywell. Â©Portland Opera/Cory Weaver.